With Christmas and the new years celebrations behind you what do you plan to do with yourself in 2017! If you are like me you battle with the bulge every year over the Christmas period with all the extravert food on offer and add to the mixture some beverages it sure does take it’s toll on your body feeling sluggish and gaining some excess passengers around your waist. Luckily I have some motivation each year to help me turn that around, but what do you have planned to motivate you into feeling healthier for 2017. Anzac day celebrations this year is tipped to be the biggest we will most likely see in our lifetime. 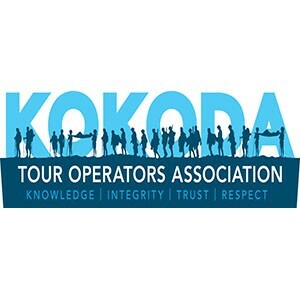 I feel it is such a privilege to be part of the services along the Kokoda track this year and I hope the rest of you can spare some time to attend the services around the nation paying your respects to those who fought in all wars. This will be my primary motivator for the beginning of the year to bring my body back into the healthy weight range and cleanse it of it toxic liquids I guzzled over the past few months. The word diet comes from the Old French phrase diete and the Medieval Latin dieta meaning “a daily food allowance”. The Latin word diaeta and Greek word diaita mean “a way of life, a regimen”. What sort of diets have you attempted or undertaken? I know there is no such thing as a diet and it’s “a way of life”, but for the everyday person the “way of life” is hard to maintain in our busy urban lifestyle. Some of you work anywhere from 8, 9, 10 and even 14 hours a day, not to mention the children in your life you need to manage and look after or the sporting team you’re a member of and the community program you volunteer for. Life’s can be tough and run’s at a Formula One car’s pace, it’s our meal plans and exercise that can suffer. Our “way of life” suffers to the point that we need to jolt it into gear with the latest diet everyone’s discussing around the gym, office or friends place. The Atkins Diet, or Atkins Nutritional Approach, focuses on controlling the levels of insulin in our bodies through diet. If we consume large amounts of refined carbohydrates our insulin levels will rise rapidly, and then fall rapidly. Rising insulin levels will trigger our bodies to store as much of the energy we eat as possible – it will also make it less likely that our bodies use stored fat as a source of energy. In theory, consuming fewer carbohydrates allows your body to burn greater amounts of fat. Most people on the Atkins Diet will consume a higher proportion of proteins than they normally do, eat less whole grain carbs and more fats and butters. Caveman Diet—also known as the Paleo Diet—conjures up images of burley, masculine men savagely hunting wild beasts and gorging themselves on wild game roasted over open flames. However, this do-it-yourself diet doesn’t mean chasing down deer that wander into your backyard. The diet is based on several premises. Proponents for the diet believe that during the Paleolithic era a time frame lasting around 2.5 million years that ended around 10,000 years ago with the advancement of agriculture and domestication of animals for human use. This era saw the evolved nutritional needs specific to the foods available during that period, and that the nutritional needs of us modern day humans remain best adapted to the diet of their Paleo ancestors. Proponents also claim that human metabolism has been unable to develop fast enough to handle many of our modern foods that have become available since the advent of agriculture and processing. More protein and meat: Meat, seafood, and other animal products make up the staple foods of modern-day Paleo diets of about 30-35% of the calorie intake as this mirrors the hunter-gatherer diets. Fewer carbohydrates. The diet recommends the consumption of non-starchy fresh fruits and vegetables to provide 40-45 % daily calorie intake and be the main source of carbohydrates in your diet. High fiber intake not via grains, but via non-starchy vegetables and fruits. Weight Watchers’ core approach is losing weight by forming helpful habits, eating smarter, getting more exercise and providing support. In contrast to other diets that might provide a list of foods that either must be or should never be eaten, Weight Watchers ‘ primary plan has no directly comparable requirements and no food is off limits. Participants lose weight by creating a calorie deficit; the Points Plus system provides a framework for creating that deficit. This is a calorie controlled diet plan and restricts your intake of food and amounts from certain food groups. The 5:2 diet, or fast diet, is a diet that involves calorie restriction for two non-consecutive days a week and unconstrained eating the other five days. The diet originated and became popular in the UK, and spread in Europe, the USA and Australia. It is a form of intermittent fasting. The diet is claimed to promote weight loss and to have several beneficial effects on health by eating away at your inner fat deposits around your organs; however, there is little evidence about its safety and effectiveness. What ever is your diet plan it is very little health benefits will be achieved with adding some form of exercise into “a way of life” as the nutritionist will bellow at you. Exercising can become another chore like our meal planning in the quest for the perfect “way of life”; it must be interesting, enjoyable and social for us to keep turning up week after week. 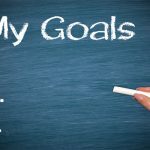 I find goal setting the way in which I can keep myself turning up to exercise sessions, short term or long term goals give you some desire to achieve. Mud runs, masters games, fun runs (now there’s two words that I find not compatible in my exercise regime) are all goals you can choose to keep you turning up for your routine session. You don’t have to set goals as big as Kokoda or climbing peaks in Nepal but set your self something you aspire to do, enjoy and most of all achievable in the next 6 months. My short-term goals are to get out of the office and go for a bushwalk once a week. Another short-term goal I have is to learn how to spear fish while diving off the ocean rocks in Port Stephens, although with all of the shark sightings and beaches being closed for over a week I may look at investing in a floating cage to dive with. I am a little unsure as to how successful I will be in catching fish in this way though! What ever your motivation or whatever your meal plan lets make sure we all have a safe and enjoyable 2017!!! !